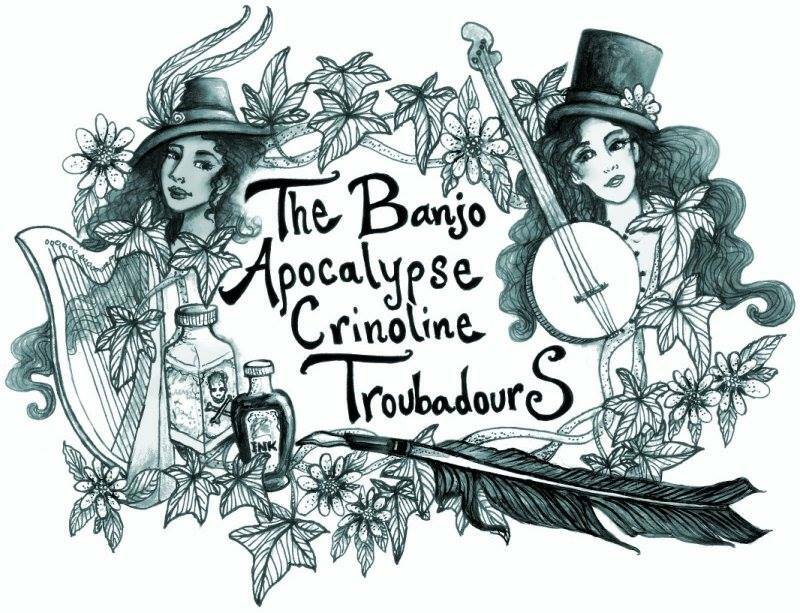 The Banjo Apocalypse Crinoline Troubadours are friends, writers, performers, and musicians who’ve banded together to share their work with the world. Scattered across the globe, they do not so much travel together as spontaneously occur. Whenever two or more are gathered, you can be sure of a well-dressed apocalypse. Our website is here. We also have a Facebook page! And a YouTube Channel!